Kinder Morgan on Tuesday said its Canadian subsidiary completed its initial public offering, raising $1.3 billion to expand its Trans Mountain pipeline. With the IPO closing at about $13 a share, Kinder Morgan is committed to moving forward with the $5.5 billion project to funnel Canadian oil sands crude 715 miles from Edmonton, Alberta, to Vancouver-area ports in British Columbia. From those ports the oil can be shipped to Asian markets and others that typically pay higher prices. 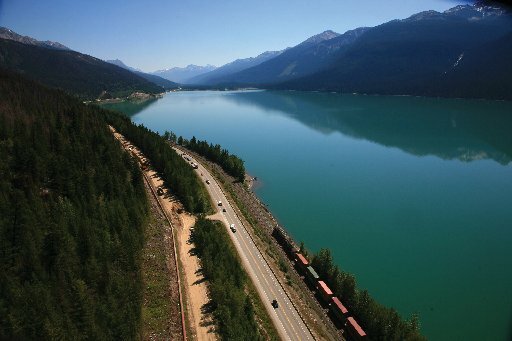 “This securing of financing for the project demonstrates the need for and interest in the opportunity for Canada to have better access to world markets,” said Ian Anderson, president of Kinder Morgan Canada Ltd.
Rather than attempt to attract venture partners, Kinder Morgan took its Kinder Morgan Canada subsidiary public on the Toronto Stock Exchange to help pay for the project. The IPO includes much of Kinder Morgan’s other Canadian assets. The project, which has been in the works for almost four years, is opposed by environmentalists, indigenous tribes and many landowners. The controversy is similar to that surrounding the Keystone XL pipeline expansion in the U.S.
Canadian Prime Minister Justin Trudeau approved the Trans Mountain project in November and he reiterated that support this week. Although recent elections put a liberal minority coalition into power in British Columbia, construction isn’t expected to be stalled. The Trans Mountain expansion would almost triple its existing capacity from 300,000 to 890,000 barrels of crude oil per day. The expansion pipeline would be placed alongside a Kinder Morgan pipeline that began operations in 1953.